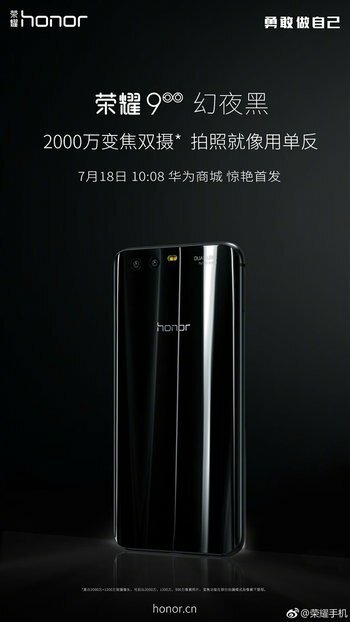 Huawei has confirmed that the black color variant of its Honor 9 smartphone will be launched next week. Specifically, the Midnight Black model will go on sale starting July 18. Officially, the phone comes in a total of 4 color options: Glacier Grey, Sapphire Blue, Gold, and Midnight Black. While the first three have been available, the fourth, black model wasn’t launched. But that’ll change next week. Pricing should be similar to other color variants. Recently, Huawei CEO revealed that they’ve managed to sell over 1 million Honor 9 units in less than a month.